There’s something about the month of February: romance in the air, cozy weather and abandoned New Year’s resolutions that makes it the perfect time to volunteer. 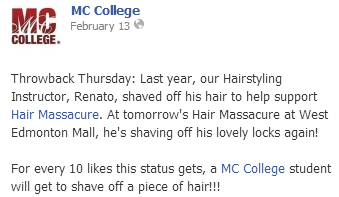 From braving the cold weather to prep models for a runway show to shaving heads at Hair Massacure, MC College students ‘Shared the Love’ by using their skills to help others in the community. 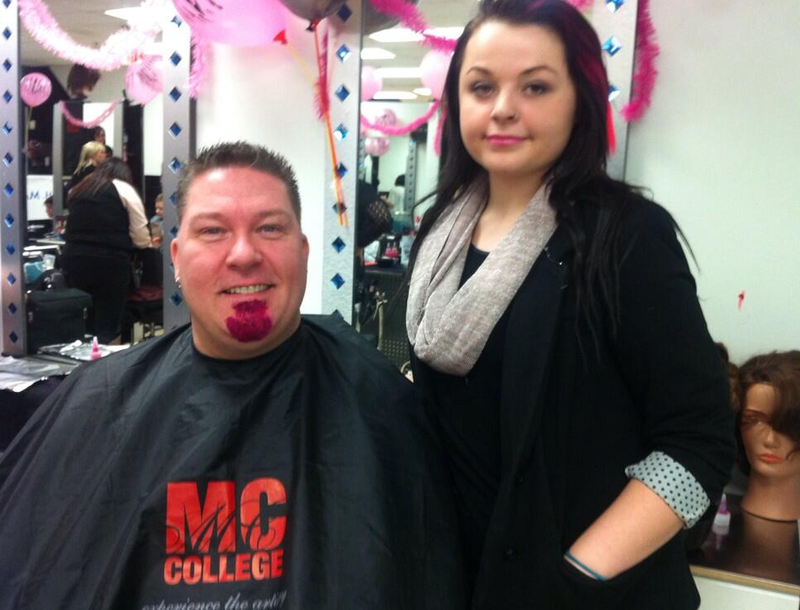 On February 2nd, students from Red Deer MC College did hair and make-up for a local movie shoot. Students were able to create connections within the motions picture industry and experience what it was like to work behind the scenes as a makeup artist and hairstylist. 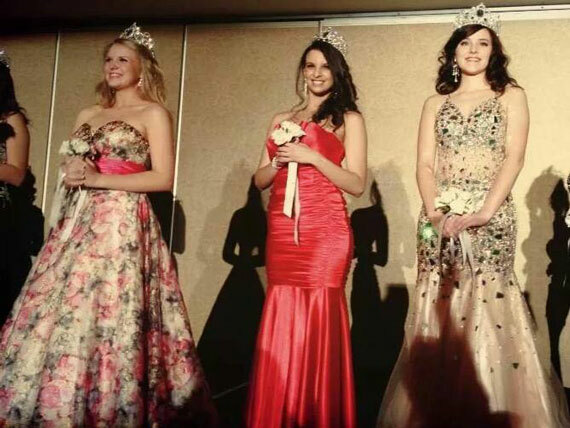 From February 8th-9th, students from MC College Calgary had the opportunity to do hair and make-up for the contestants of the Miss Teenage Southern Alberta Pageant. To complement the dress of one of the contestants (floral patterned ball gown with a pink sash), MC College students gave the contestant soft curls and a light berry lip (the latest spring make-up trend)! 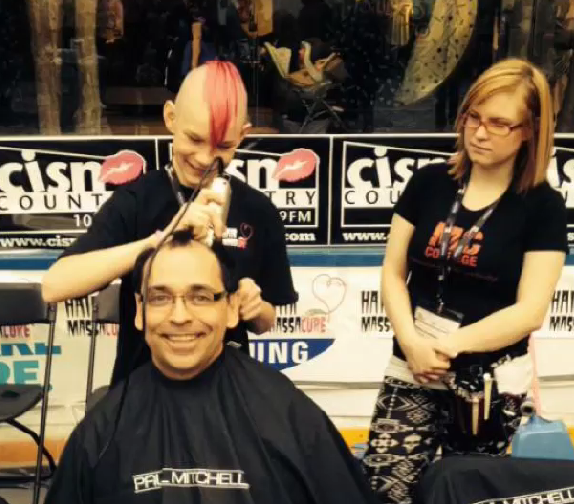 Calgary MC College students were up bright and early on February 20th to “paint Calgary pink” at Southern Alberta’s Hair Masscure event! Pinking is when participants bleach and color their hair pink to help raise funds and awareness for local children’s charities. From 5:30am to 8am, students pinked over 60 heads! 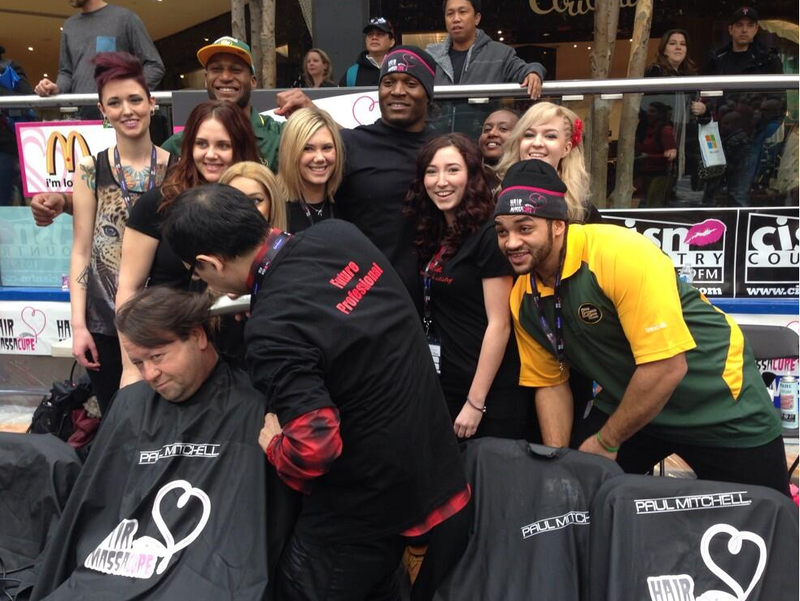 This year, local celebrity Jill Belland from Breakfast Television did a live segment at the campus to help promote Hair Massacure and to capture local teams getting their hair pinked. 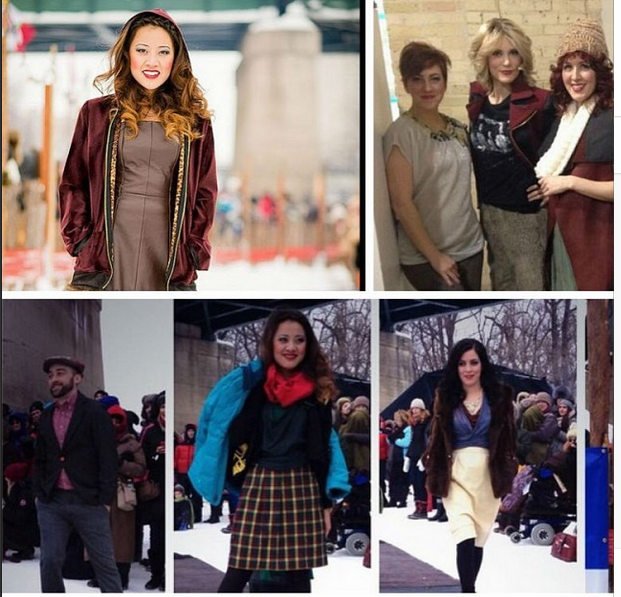 Through snow, sleet and -50°C weather, the fashion show must go on! On February 16th, Winnipeg MC College students did make-up for the models in the Fashion on Ice show at Festival du Voyageur. This first annual outdoor fashion show features local retailers and fashion designers. Included in the show was MC College’s Fashion Design graduate, Jasmine Champagne Lutsy, who showed off her spring/summer collection. 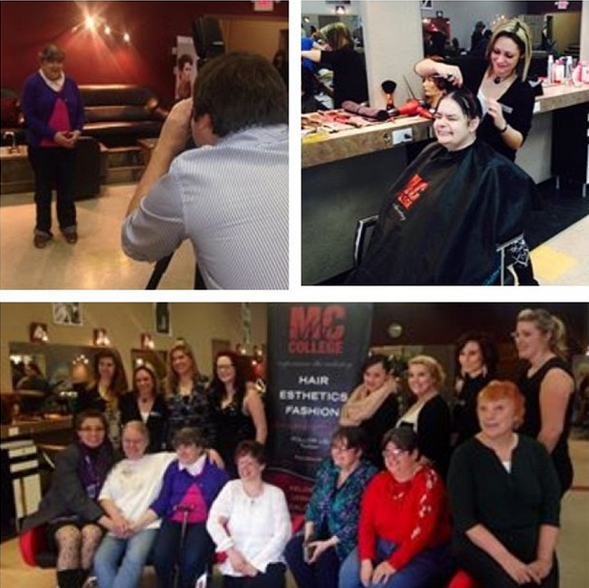 On February 27th, students from the Vernon MC College campus invited over 15 staff from Interior Health for a make-over and photo-shoot, which was shot at the Vernon campus! Interior Health provides healthcare programs and services for BC’s Southern region.